Coiled flexible steel cable with keyed lock. PVC coating prevents damage to paintwork. Weather resistant. 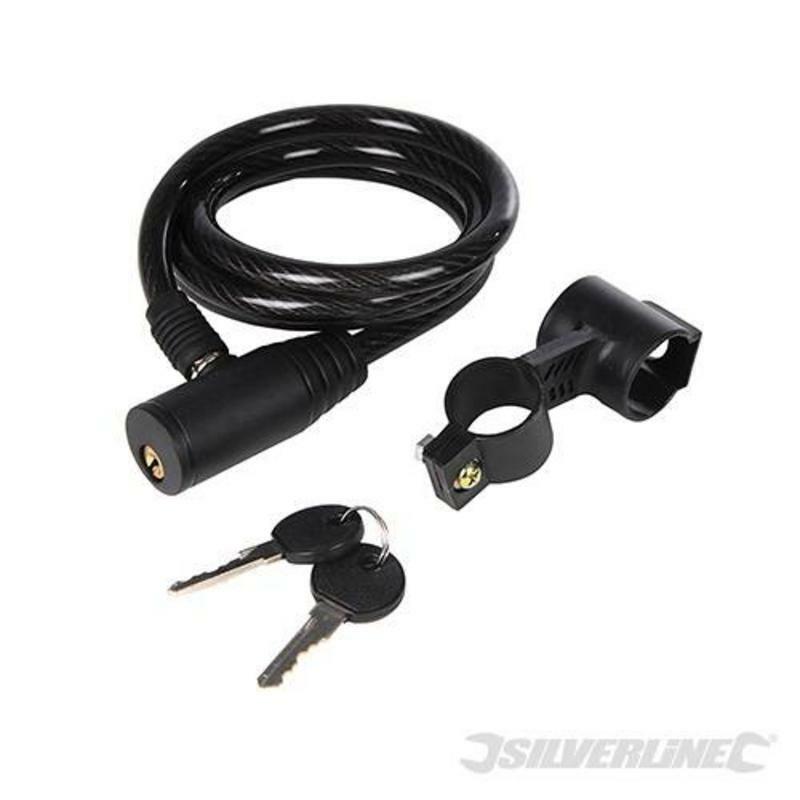 Includes bike-mounting bracket and 2 keys.